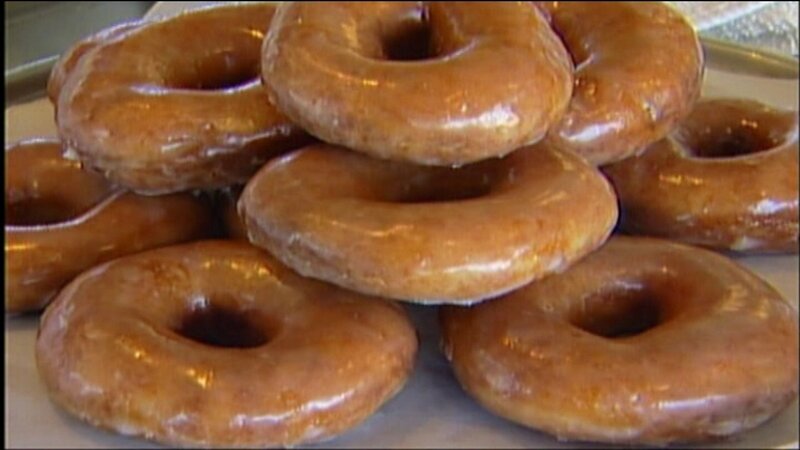 HOMEWOOD, Ill. (WLS) -- A Krispy Kreme reopened in the Chicago area for the first time in more than 4 years. People streamed into the store at 17815 S. Halsted Street in Homewood when doors opened at 6 a.m. Tuesday. Dozens of people waited in line overnight for a chance at free doughnuts. The first person got in line outside the 24-hour drive-thru location around 2:30 p.m. Monday. As of 3 a.m., the line had grown to about 70 people. The first 12 customers were awarded a dozen free Original Glazed doughnuts every week for a year. Customers 13 through 100 got a dozen doughnuts once a month for a year. That's not the only big deal in Homewood. The Dunkin Donuts on Halsted celebrated 28 years in business with 28-cent coffees all day Tuesday.